EMC has recently released XtremIO 4.0 and with that comes an interface change under the configuration tab. 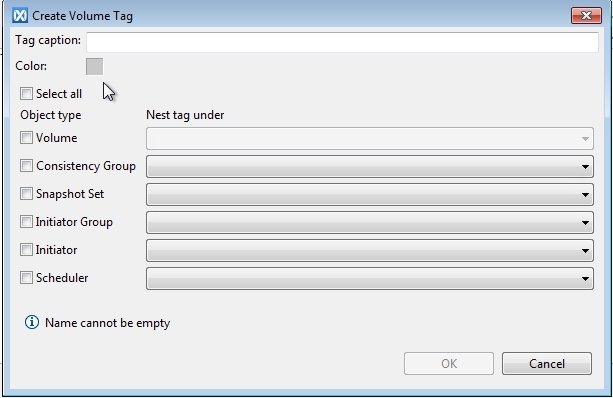 This blog will show you the new look interface and how to create Volumes, Initiator Groups, and how to map them together. As you can see the Configuration Layout has changed. This new look provides more detail when it comes to Volumes, Consistency Groups, Snapshots, Initiator Groups, Initiators and Schedules. You have 2 ways to create a volume shown below. 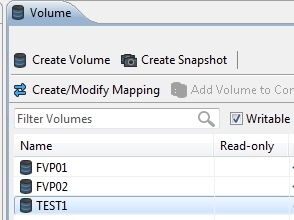 Either right-click Volumes or use the Create Volume button. 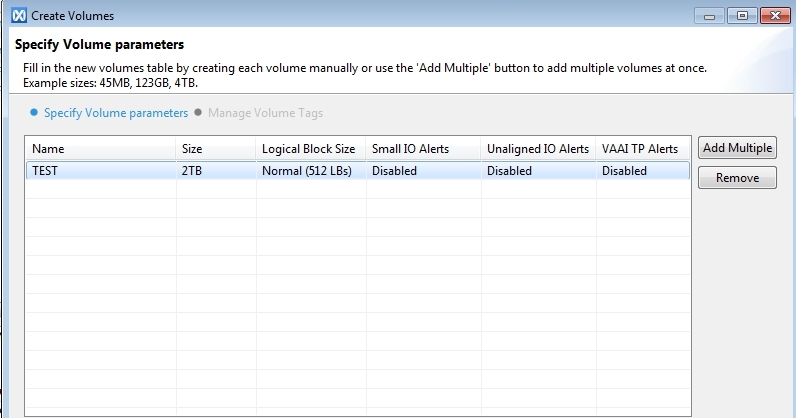 Specify the Volume parameters such as size, Logical Blocks, IO Alerts and VAAI Alerts (Recommended). You can also add multiple volumes at the same time by select “Add Multiple” on the right side. You have 2 ways to create an Initiator Group shown below. 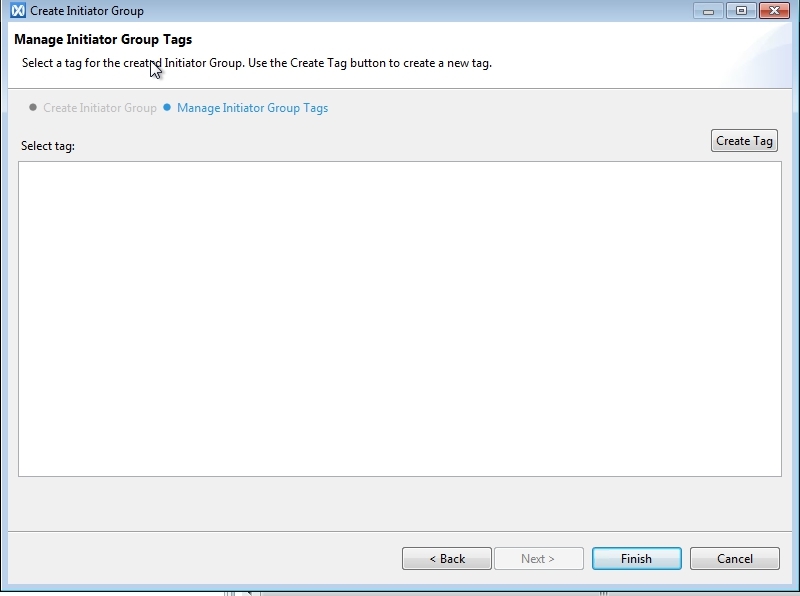 Either right-click Initiator Groups or use the Create Initiator Group button. 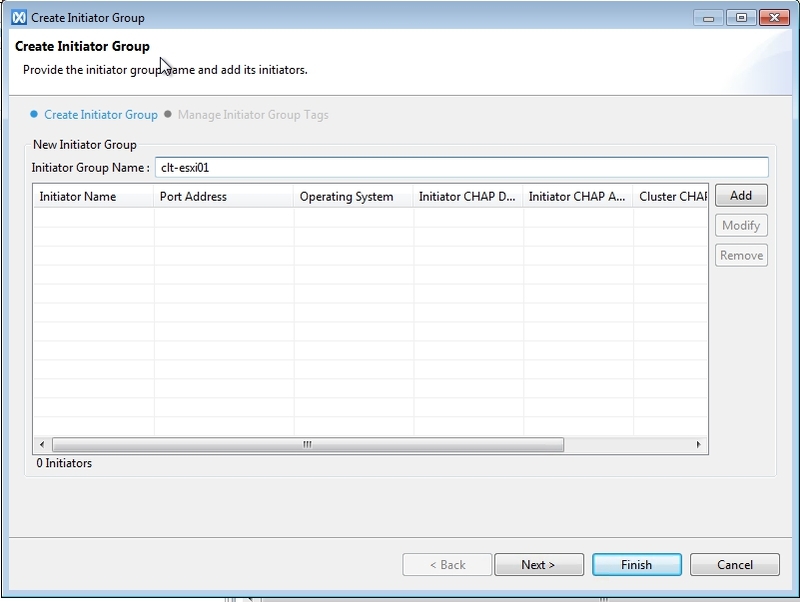 Specify Initiator Group Name then select “Add” to add the initiator. The Initiator Group will now show up. Verify Zoning and Connectivity by going to the Targets Tab and looking at the FC1 and FC2 connections for green check marks. At this point you can add your storage to your hosts. EMC recently released Virtual Storage Integrator 6.6 and I wanted to share some of the new features that were added. The product continues to improve and this version has added several new features. If you are using EMC storage (especially XtremIO) then you need to be using VSI! RecoverPoint for VMs 4.3 has been released with a lot of new features and changes. This blog will outline all of them with the hope of doing some demos in the future. RecoverPoint for VMs 4.3 now supports up to three copies (including the production copy) per consistency group and up to three vRPA clusters per RecoverPoint for VMs system, enabling concurrent local and remote replication. RecoverPoint for VMs licenses are now per vCenter Server (as opposed to per vRPA cluster), enabling multiple vRPA clusters connected to a single vCenter Server to share the same license. 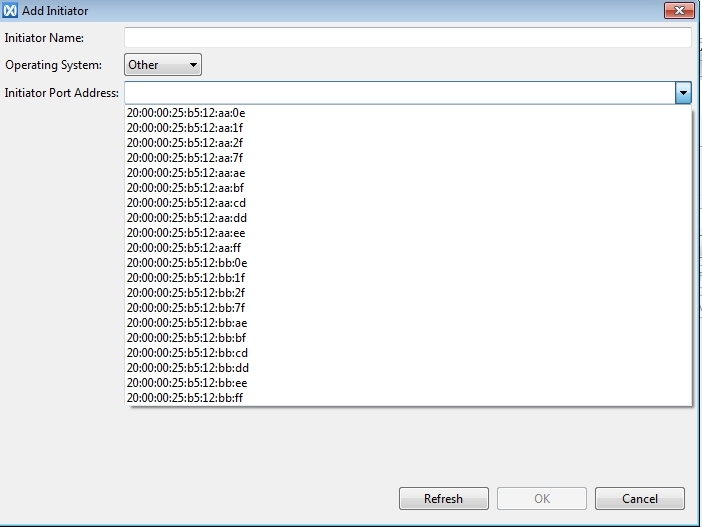 Download RP4VMs OVA image files. Import OVA image files via vCenter wizard. Configure vRPA networking (including IP address and connectivity to ESXi). Open web interface and configure vRPA cluster in DM flow. Pair between two clusters using credentials. Install ESXi splitter without rebooting the ESXi. When creating consistency groups users can now select the type of VMDK to use for the copy VMs. Possible options are thin, thick, or same as source. Default is same as source. VMDKs can now be expanded without loosing the journal or causing a full sweep for the entire consistency group in cases where users want to add additional space to protect the VMDK. VMs containing VMDKs that are shared or non-persistent can now be replicated, as such VMDKs can now be excluded from replication. VMs can now also be configured to include newly added VMDKs from replication automatically. Replication sets can now be added to a consistency group without causing journal loss or a full sweep. Each production VM’s hardware resources (such as CPU, memory, etc.) can now automatically be replicated to its copy VM during image access. Users can now define the power-up order of VMs in a consistency group (and consistency groups in a group set) as image access is enabled when testing a copy, failing over, or recovering production. VMs can also be marked as critical to stop the start-up sequence if that VM doesn’t power up. You can now define messages that must be acknowledged by RecoverPoint for VMs administrators before and after each VM’s power-up. You can now save and run scripts before and after powering on VMs by defining an external host per vRPA cluster in a RecoverPoint for VMs system. All of the networking details of the VMs in a RecoverPoint for VMs system, or the VMs at a copy in a RecoverPoint for VMs system, can now be imported and automatically applied, or exported for future use. Application-consistent bookmarks can now be created on every VMware-based virtual machine in its own consistency group that uses VSS and is running Windows 2008 or 2012 R2. A wizard is now automatically displayed after the initial installation of a RecoverPoint for VMs system to guide users through the process of licensing and registering their RecoverPoint for VMs system and enabling support. This wizard is also displayed when adding the first license using the main RecoverPoint for VMs Management > Administration > Licenses screen. For each recovery activity a detailed report can now be displayed including the final status of each step, as well as the overall status, of the recovery activity. This is Blog 4 in the Zerto Replication 4.0 Series. This blog will cover the Virtual Protection Group (VPG) Test Failover. Failover Test window will pop up. Select you VPGs that you want to test and select next. Go to the Monitoring Tab to observer the failover tasks. The screenshot below shows the steps that are taking place at the target vCenter. Once you have completed your testing go back to the Monitor Tab. Go to the tasks and select the red “Stop” button to end the testing. The Stop Test window will pop up and ask for the “Result” and “Notes”. Select Stop to stop the test. Once the testing has been taken down it will show “Completed” under Monitoring. My next blog will cover the VPG Failover process. XtremIO 4.0 New Features and Changes!! XtremIO 4.0 has been released as of 6/30 and I wanted to share the New Features and Changes that are stated in the release notes. I will be doing several blogs on XtremIO including the new interface and RecoverPoint Integration!! This section describes the following new features and changes that are introduced in this software version. 40TB, double-density X-Bricks: The system incorporates stronger hardware (CPU and RAM), providing the equivalent performance on larger X-Bricks. RecoverPoint for XtremIO provides the best RPO in the All-Flash market (60 seconds using pre-defined RPO). RecoverPoint can scale, according to the number of X-Bricks, by adding more RPAs. A better design to support the high performance I/O characteristic of all-flash arrays. Further data saving is enabled on the snapshots stored at the target site. Any snapshot is deduplicated and compressed inline while data is written at the target snapshot. Snapshot shipping enables immediate RTO at the target site and offers hundreds of point-in-time copies for recovery. It allows multiple tries for the administrators to select the best copy for a failover. An XtremIO cluster can be expanded non-disruptively, while the cluster is online and serving data, adding agility to the data center. An XtremIO Storage Array can grow both in capacity and performance as more workload is consolidated into the system. This enables customers to start with a smaller cluster and expand it according to the workloads growth. The added capacity and performance is available for consumption during the expansion process. XtremIO offers unrestrictive immediate refresh capabilities. Any Snapshot can be refreshed with any Snapshot, allowing unlimited flexibility. XtremIO supports read-only Snapshots for immutable point-in-time copies. Coupled with the ability to retain large numbers of high-performance, space efficient Snapshots, administrators gain the agility to leverage Snapshots for improving business and administrative operations. Supports crash consistent snapshotting for applications. Support application aware Snapshots using VSS, UNIX Scripts or AppSync. Allows restore and refresh of the entire Consistency Group. Allows setting local protection policies to protect from logical data corruption. Allows a short RPO for crash consistent Snapshots. Enables the user to set retention policies for copies. Allows immediate Recovery Time Objective in case of a logical corruption. The system allows monitoring and configuration of up to 8 clusters, using a single XMS. 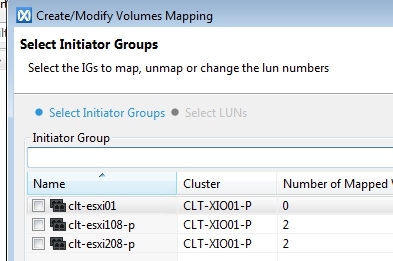 Clusters can be seamlessly added to an XMS or removed from it. Improves the ease of management of a large scale XtremIO deployment. Provides a single aggregated view of all managed clusters, including performance information and cluster health status and easy navigation to individual clusters. Enables programmatic access to multiple clusters. XtremIO provides a better visibility of cluster performance and capacity usage over time. Data is retained for up to two years and has variable granularity, according to the data age. The lowest sample granularity is 5 seconds. The system is very simple to use. Performance and capacity analysis can be carried out via the XtremIO GUI, and there is no requirement for additional/external tools for analysis. Users can choose and define their desired level of aggregation, based on business needs, using Tags. Metrics are also tracked per Tag. Data can be analyzed and presented by XtremIO GUI. Data can be freely exported and consumed in CSV format. External programs can consume data via XtremIO APIs (RESTful API and CLI). Reports can be enabled for a user, or made publicly available for all cluster users. With the newly-introduced user-generated customized templates feature, users can create report template and share them with other users. XtremIO RESTful API Ver. 2.0 has full backward computability with Ver. 1.0. The RESTful API enables full automation, orchestration and monitoring of XtremIO cluster or clusters. This version supports the OpenStack KILO release. XtremIO supports Microsoft Volume Shadow copy Service on Windows® 2012 and Windows® 2008. XtremIO enables administrators to create application aware Snapshots on Windows environment with supported VSS writers such as SQL, SharePoint and Exchange. Offload copy operation to the XtremIO array in Microsoft environment, enables accelerating copy operations compared to host-based copy operations. The system leverages XtremIO’s in-memory copy technology to establish faster ODX copies. Allows powering off the Storage Controller if it does not impose any risk to cluster service. Prevents users from interrupting cluster service by mistake. Allows power-off of a cluster only when the cluster is not servicing I/Os. Pressing the Power buttons of any two Storage Controllers in a cluster for 5 seconds shuts down the cluster. Blinking DAE LEDs indicate that it is safe to turn off the PDU. The Inactivity Timeout feature logs the user out of the cluster management (from CLI and GUI) when the Inactivity Timeout threshold is reached. 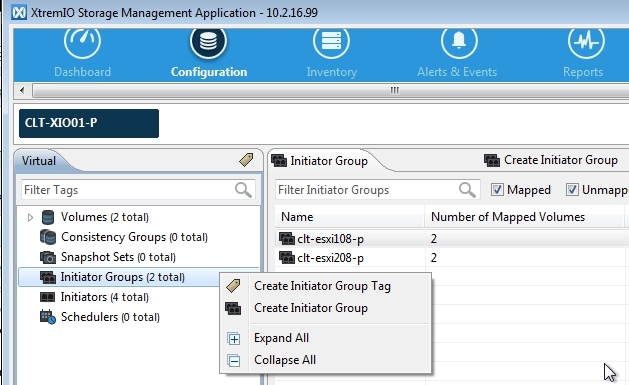 Users can log out from GUI sessions without closing the XtremIO application. The login banner (available for GUI or CLI sessions) can be configured with customized login message to comply with enterprise policy. SNMPv3 encryption and authentication for SNMP traps support.